Local SEO. It’s probably the first thing that you hear when talking about managing a business’ online presence. Although the application of local SEO has more relevance when it comes to businesses with physical locations, every business should have a solid local SEO strategy. But before you can go ahead and start brainstorming ways to improve your business’ local SEO, it is highly imperative that you perform a local SEO audit. 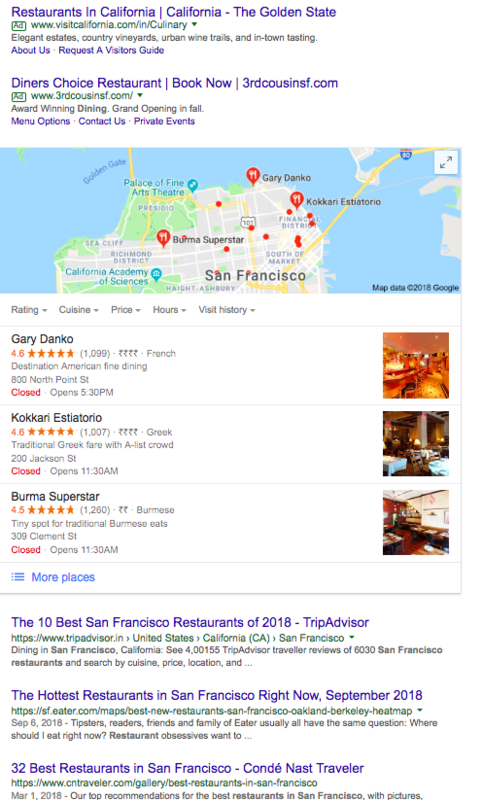 This will help you understand where your business stands in the competitive environment of local search, and what you have to focus on to improve it. At this point, if you’re telling yourself, “A local SEO audit? I can’t do that, I’ve got no expertise in that field”, let me make one thing clear. You don’t have to be an SEO expert to conduct a basic local SEO audit. Yes, it’s true, and we’ll be telling you exactly how you can do that. Be it for your own business, or for a client, doing a basic local SEO audit only requires three things – practice, patience, and some basic understanding of local SEO. Now the first two things – practice and patience – are completely up to you. I cannot help you with that (unless you’re willing to fund my world tour, in which case I will dedicate an entire year to helping you practice and develop patience. Please, I’m desperate). However, I can help you gain some basic knowledge of local SEO, in case you’re not familiar with it. But if you are, then you can skip the lecture and go ahead to step 1. So let’s get down to it, shall we? Local SEO is a part of a much broader subject, Search Engine Optimization. SEO deals with optimizing your business and website(s) online, so that search engines like Google can crawl, index, and rank your website better, and serve it up to the right audience at the right time. It helps improve your organic rankings, and drives more traffic to your business’ online channels. SEO has a much broader scope, and deals with a lot more factors when it comes to indexing and ranking. Local SEO, on the other hand, focuses on optimizing your business’ online presence and website(s) for searches with local intent, as opposed to general search queries. Let me explain with the help of an example. 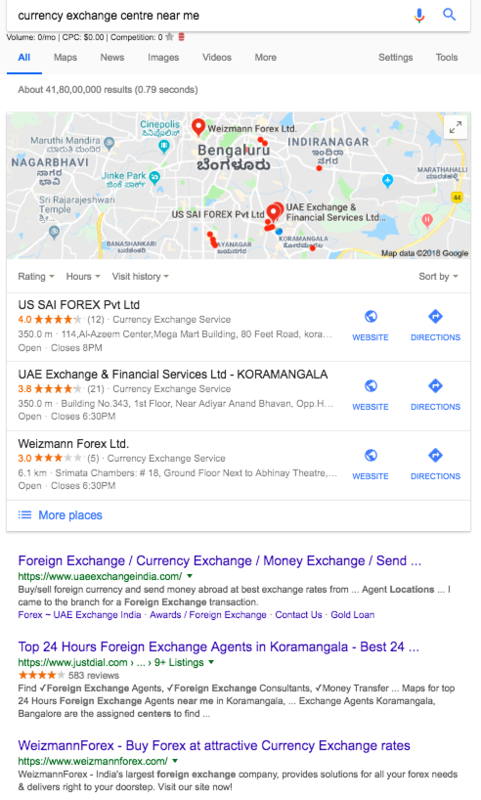 On the other hand, if I use a query with a local intent, let’s say ‘currency exchange centre near me’, the results appear a little different. Take a look. Here, you can see that the results include the local pack, followed by organic results and business listings. This is due to the fact that Google understands that you are searching for a centre near your location, and displays the results accordingly. As mentioned before, local SEO deals with optimizing your business’ online presence to rank better for these searches. And the first step is to perform a local SEO audit. So let’s dive right in. 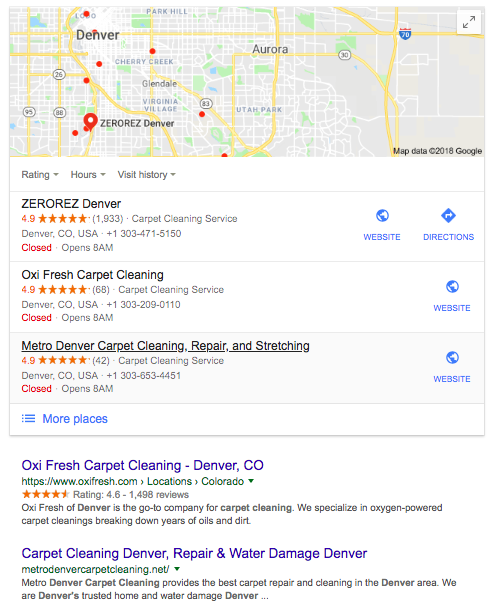 As you can see, the results start with a couple of paid ads, followed by Google’s local pack, and then you have online directory listings from third party websites. This makes it quite evident that in order to appear on relevant local search results, your business has to be primarily listed on Google My Business (GMB). This is the source of Google’s local business listings, so make sure that all your business information such as NAP, business hours, etc. are listed and up to date in GMB. Not having a GMB listing would mean that your business would never appear on Google’s search results or Google Maps, so this is of prime importance. Secondly, you need to make sure that your business is also listed on all the major online directories such as Yelp, TripAdvisor, Opentable, Yellow Pages, etc. This is also essential to your business’ local SEO, since it not only makes sure that your business appears high up on the search results, but also add to the number of quality citations that your business has. This is another factor that helps your business rank better organically. In case you’re not sure which local directories you need to list your business in, here’s a list that you can refer to. Most importantly, you need to make sure that all your business details are accurate and consistent across all listings. Inaccuracies in listings information could lead to Google ranking your business lower, and we don’t want that now, do we? First off, what exactly is on page local SEO? On page SEO is the practice of including important local information about your business such as address (including city and state), business hours, contact information, etc. in your website. You might be wondering how this helps. As before, let’s take a look at a local search result. Take ‘carpet cleaners in Denver’ for example. Here are the results. You can see that the local pack is displayed first. However, following that are two websites that are not directory listings, unlike what we saw before. What’s the reason behind this? Well, as you might have guessed, it’s on page SEO. Now let’s take a closer look at the title tags for these two websites. You can clearly see that they have included their business’ location in their homepage’s title tag. This lets Google know that the said businesses are from Denver, Colorado. Hence, the relevancy of these businesses for the search query increases, and consequently their organic rankings too. You can take cue from this, and include such details about your business in your website’s title tags, meta description, header, footer, etc. in order to rank for relevant local search results. You can read up about on page SEO in detail here. The next step in your local SEO audit should be to make sure that you make proper use of the keywords that you’re trying to rank for, in your content. Studies show that when it comes to ranking factors that you can control, keywords still play a significant role. 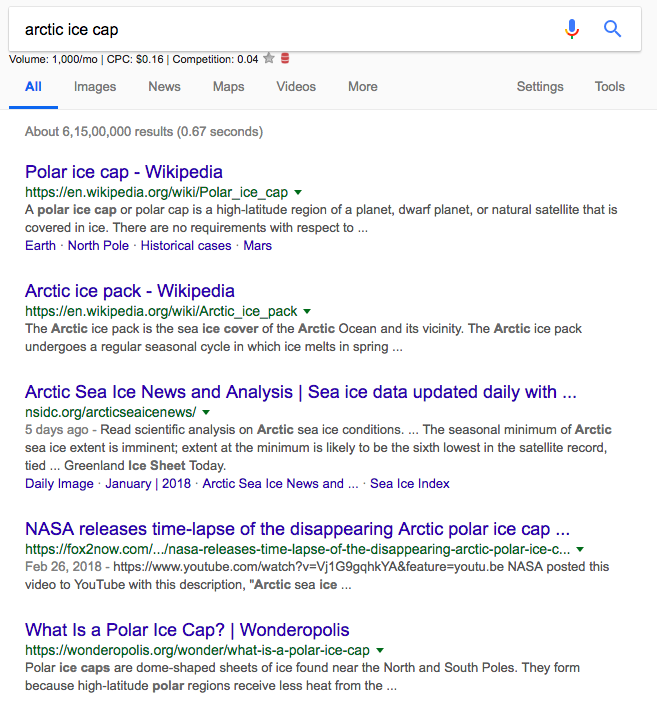 That being said, how exactly can you optimize your content for keywords? Do in-depth research and gain knowledge and expertise in the current trends, events, and happenings of your industry. Produce and host/publish content pieces (blogs, guest posts, articles, etc.) surrounding these topics. This helps you establish yourself as an authoritative figure in your industry. Make sure that each of the pieces that you write are centered around a keyword relating to the topic, and that you include these keywords in your content. A keyword density of 1%-2% is optimal. Doing this can significantly help boost your local SEO, help you generate more traffic to your website, and increase brand awareness as well. I would recommend using a CMS such as WordPress when you’re starting out, as it makes optimizing every aspect of your content relatively easy. 76% of consumers buy products discovered on social media. Nearly 60% of 35-65 year olds have purchased something they discovered on a social channel. This makes it clear that listing/claiming your business on social media channels is key to local discovery. Furthermore, this also aids in generating more ratings and reviews. Statistics show that 68% of users will often go straight to a business’s social media profile to read reviews, and around 77% of users read customer reviews before committing to a purchase. Since social media offers a platform for business owners to engage with their customers, it is imperative that they make full use of this. As a business owner, you can actively respond to reviews and steer the narrative to shed a positive light on your business. Having a good rating on social media sites is important, since ratings play an important role in local rankings. Therefore, part of your local SEO audit should be to make sure that your business is listed on all major social media channels and that you’re responding to all your reviews and building rapport with your customers. Make sure that your business is listed on GMB and other online directories, especially the ones that are niche to your industry. Additionally, verify that all your business details are accurate and consistent across all listings. Make sure you optimize your on page local SEO by including important business information such as location and business hours in your website’s title tag, meta tags, etc. Make sure that the content on your website is optimized for the keywords that you’re targeting. Create more content with targeted keywords, ideally with a keyword density of 1% – 2%. Make sure that your business is listed and claimed on all major social media sites. Maintain an active profile on these sites and respond to reviews, both positive and negative. Aim to generate more reviews and better rankings on these sites. There you go, this is pretty much all you have to do to perform a basic audit of your business’ local SEO. You might also want to make use of a checklist like this one to make sure that your business is completely optimized for local SEO. To further extend the reach of your local SEO it’s imperative to consult an SEO agency. They are continually adapting to Google’s changing algorithms and are at the forefront of the latest SEO tools and tricks. Part One: Puzzled by SEO & SEM?